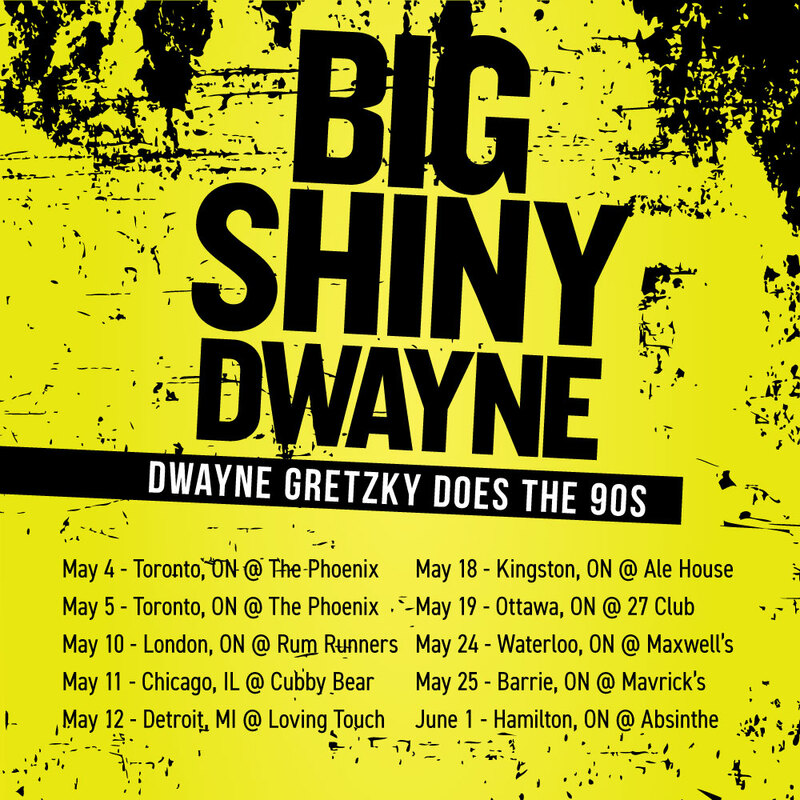 Big Shiny Dwayne Tour Starts This Week! 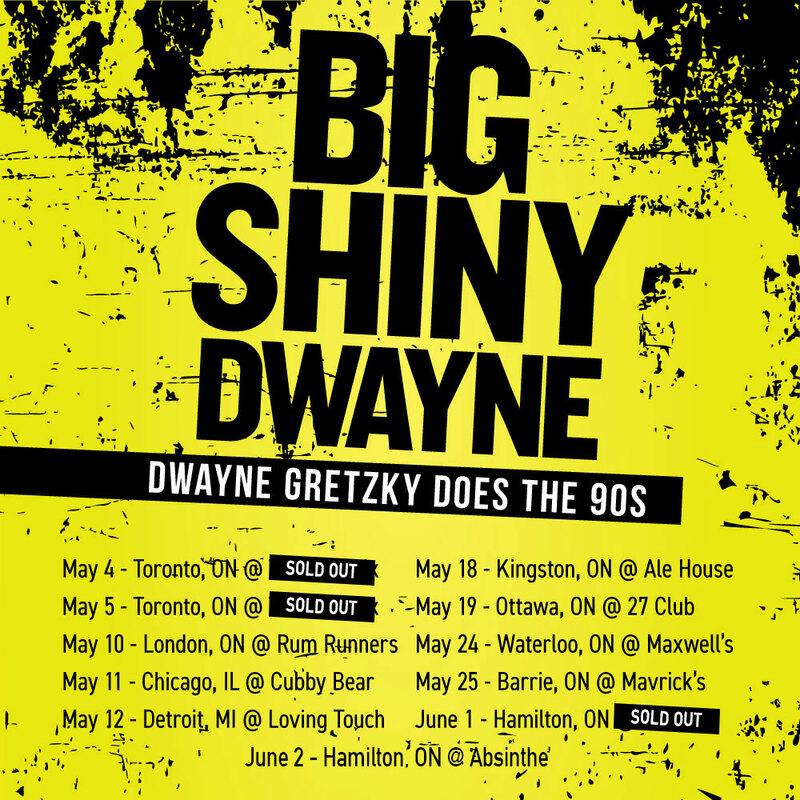 Page your buds because the Big Shiny Dwayne 90s tour starts this week! We’ll be bringing the best of the 90s to Toronto, Chicago, Detroit, Ottawa, Kingston, Hamilton, and more cities across Ontario through the month of May. Get your tickets here. 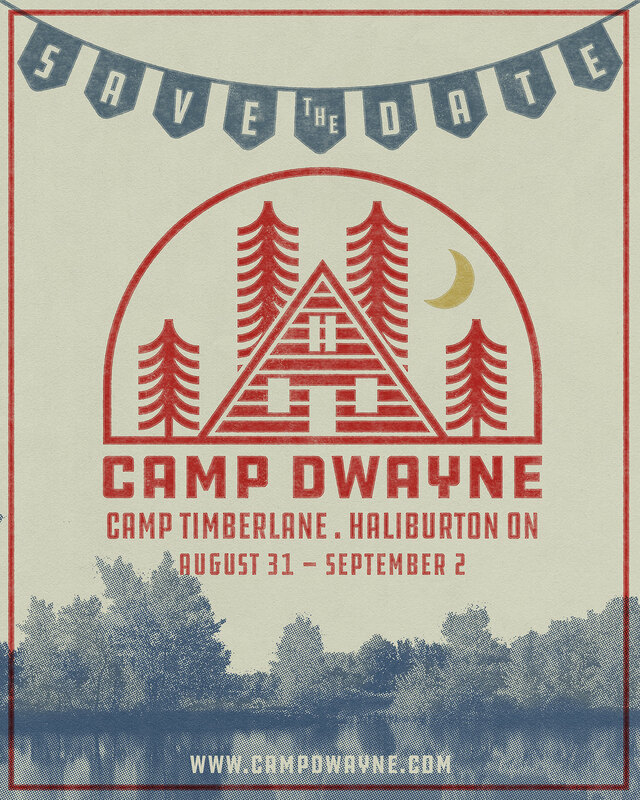 Announcing Camp Dwayne: a 3-day cabin camping weekend in beautiful Haliburton with your fave pals of Dwayne Gretzky. Mark your calendars because it’s happening Labour Day weekend! More info and registration coming soon. RSVP on Facebook here, and sign up for the Dwayner email list to be the first to hear the news. 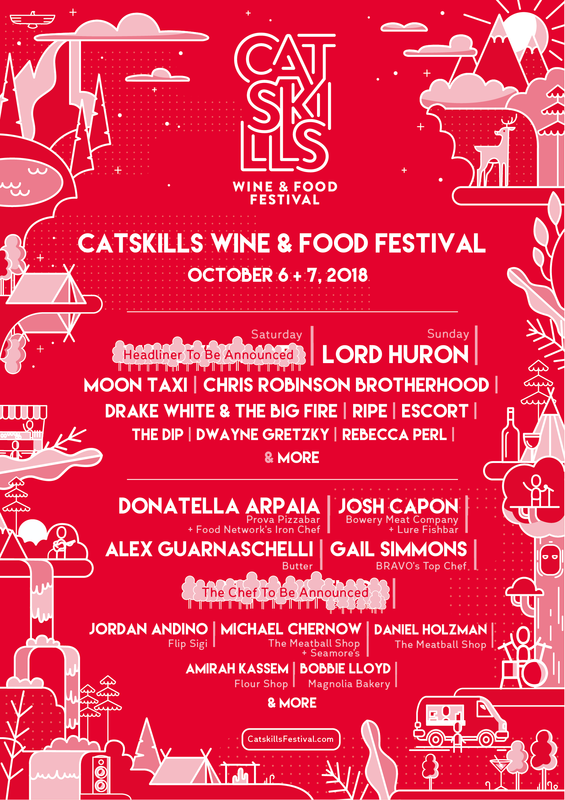 Pumped to announce we’re going to be playing the Catskills Wine and Food Festival this October! Pre-sale tickets go on sale Wednesday, April 18. For more info, visit catskillsfestival.com. We’re heading back to the county – Prince Edward County that is – this June! 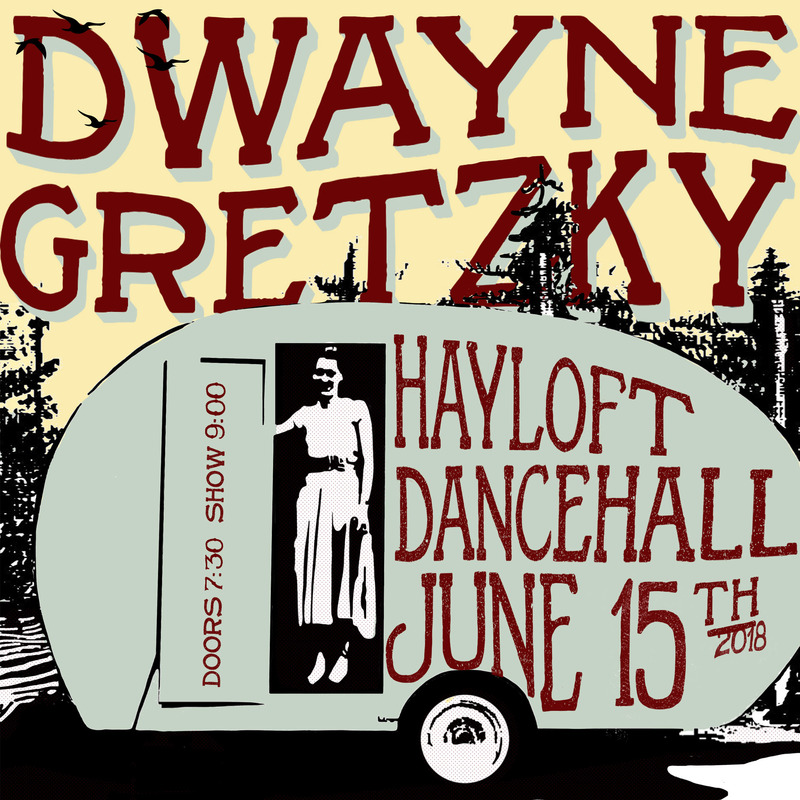 Catch us at the Hayloft Dancehall on June 15. Tickets are on sale now (buy here). 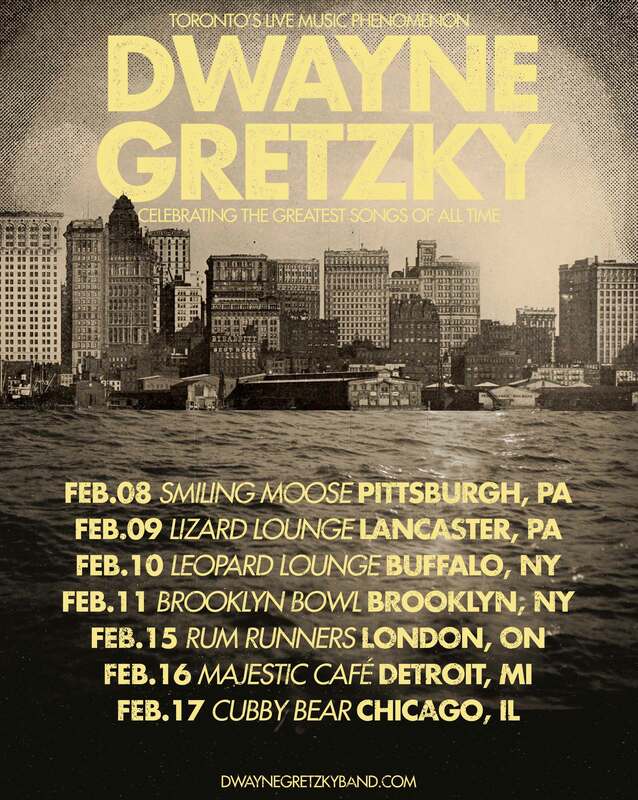 Announcing the Big Shiny Dwayne Tour! Power up the Game Boy, frost those tips and break out the butterfly clips because things are about to get hotter than Kate & Leo in the backseat of that car. Big Shiny Dwayne returns and this time we’re bringing the 90s show on the road! Get your tickets as they’ll be gone faster than you can refresh your Geocities-hosted Spice Girls fan site on a dial-up modem. Sign up for the Dwayner fan club HERE to get the presale code tomorrow. Tickets go on sale Thursday. Head to the SHOWS page for dates + ticket links. February Tour Starts Next Week! America (and London! ), we are coming for you in ONE WEEK. Do you have buds in Chicago, Detroit, Brooklyn, Pittsburgh, Lancaster, Buffalo, or London, ON? Well, hit ’em up on our behalf because we want to meet all of the extended Dwayner family on our tour. Head to the ‘SHOWS‘ tab for tickets!